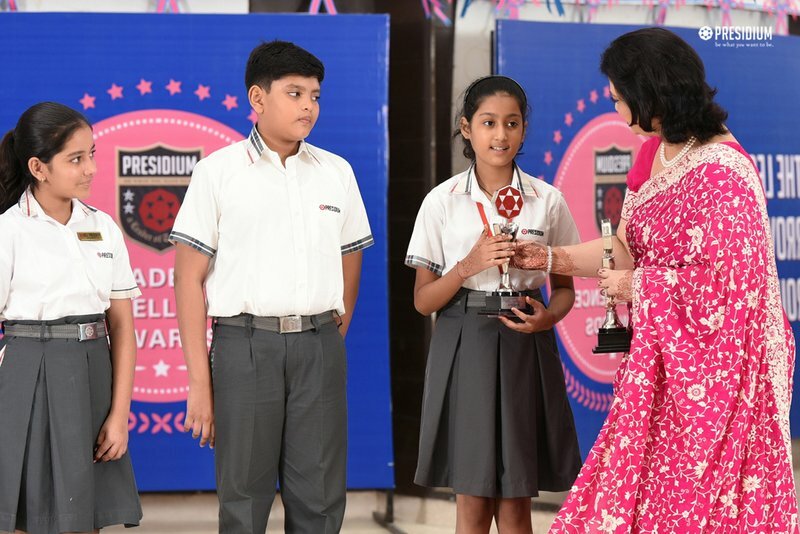 Excellence is doing ordinary things in an extraordinary way! 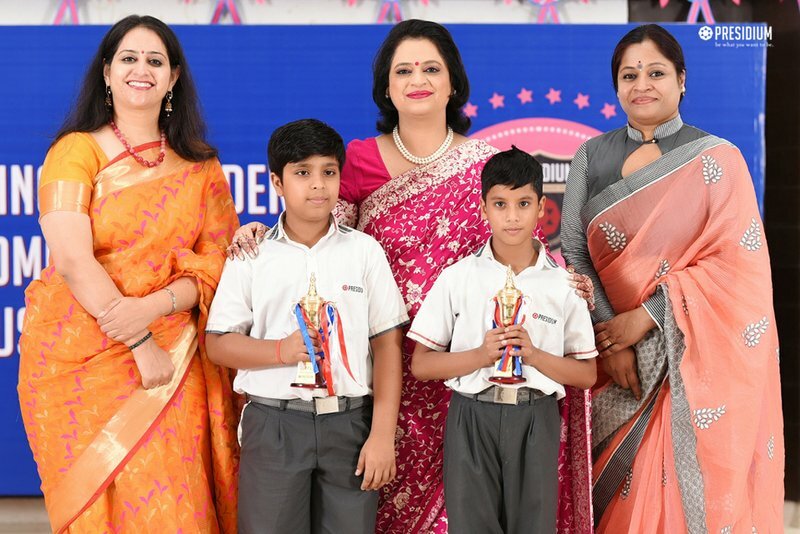 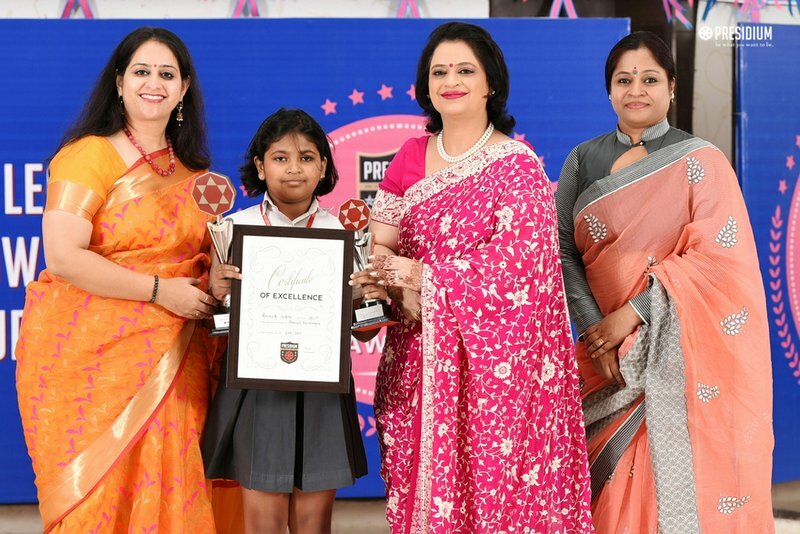 To honour the extraordinary achievements of our young students, Presidium Raj Nagar recently organized the most coveted Awards of the year - the Academic Excellence Awards. 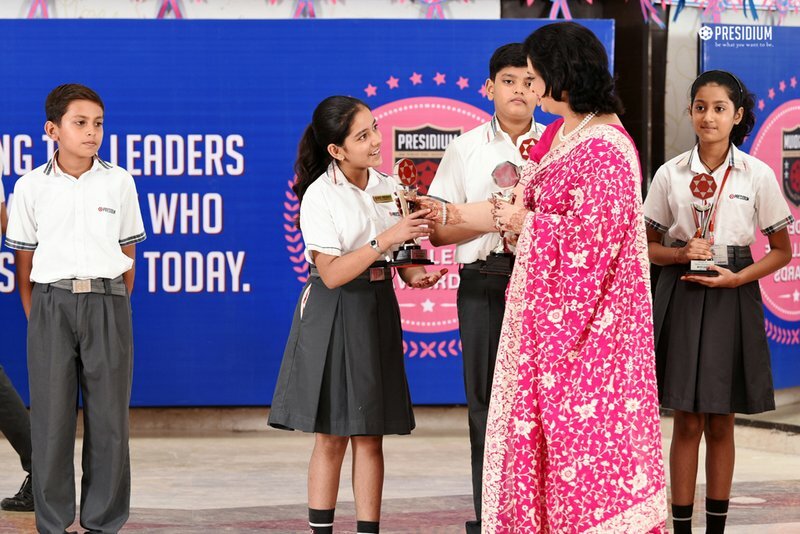 The honourable chairperson of Presidium, Mrs. Sudha Gupta graced this award ceremony to acknowledge the academic toppers and students with 100% attendance with trophies and certificates. 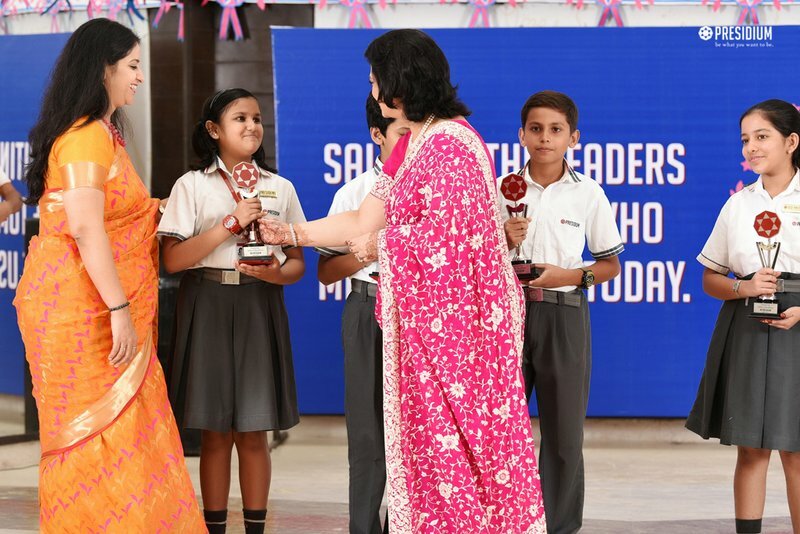 It was in fact a matter of great pride for the students and their families to get acknowledged by this respected dignitary. 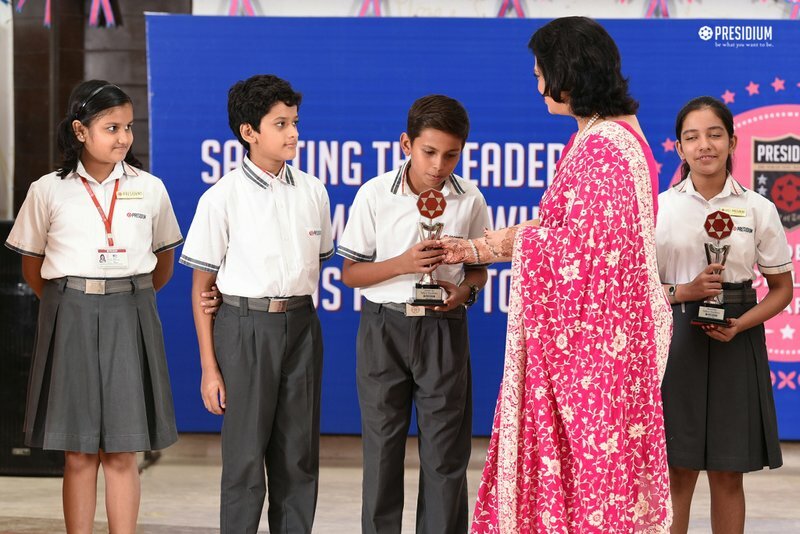 Inspiring the awardees with the thought that success is not just about achievement but being consistent in your endeavours, Mrs. Gupta motivated them to keep up the good work. 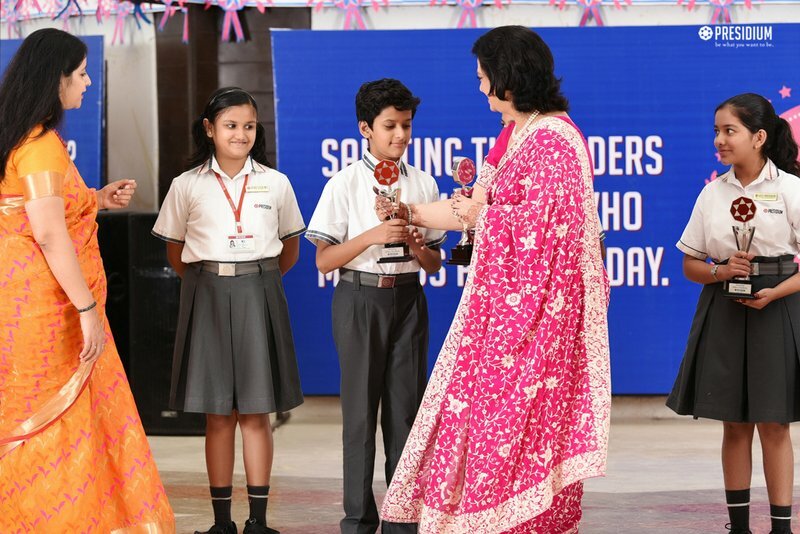 Enthusing the Presidians to excel and persevere in the next session too, this time-honoured tradition appreciated the efforts and dedication of the students.